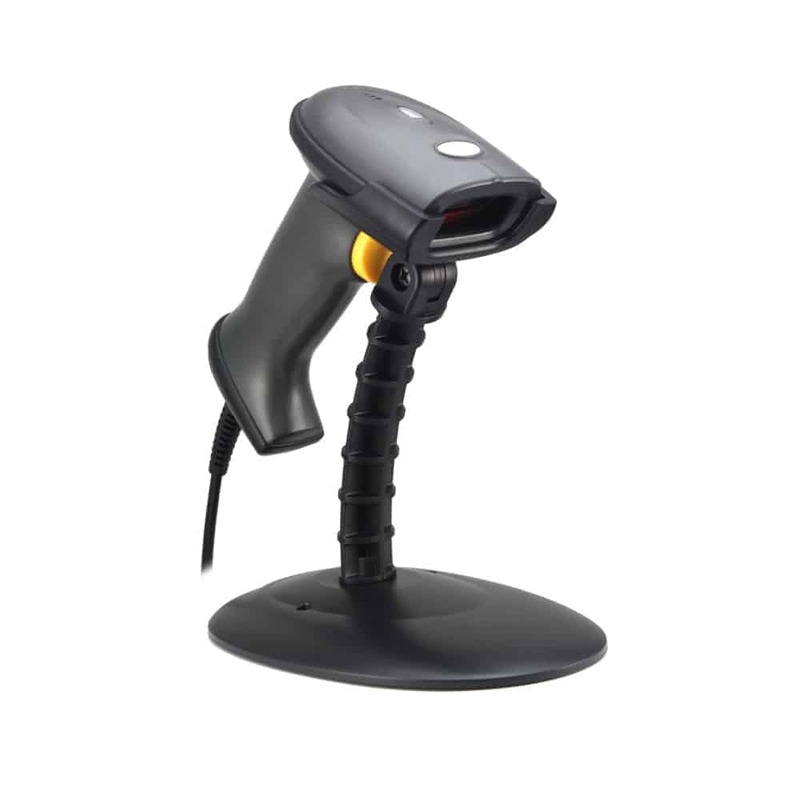 The Eclipse™ ES-250A handheld line-scanner is a performance bar-code scanner with a design based on all industry standards in use today. 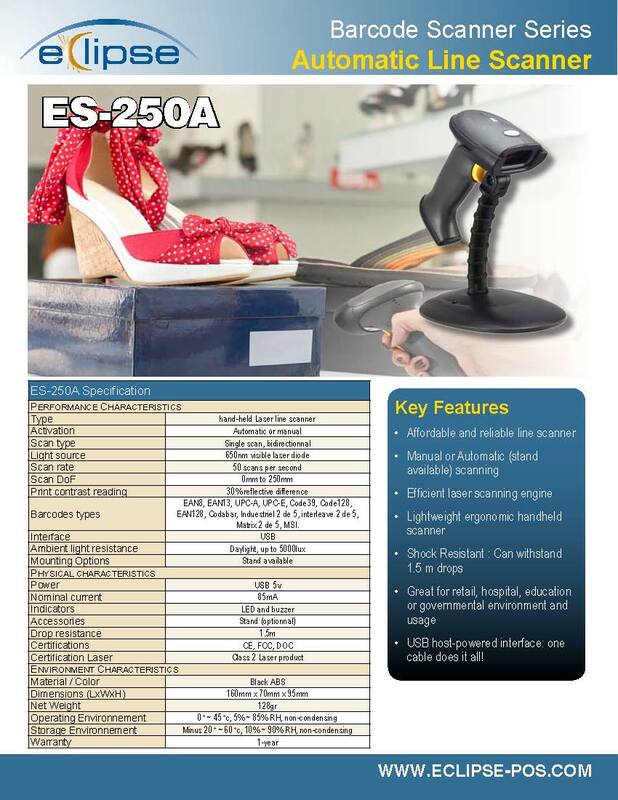 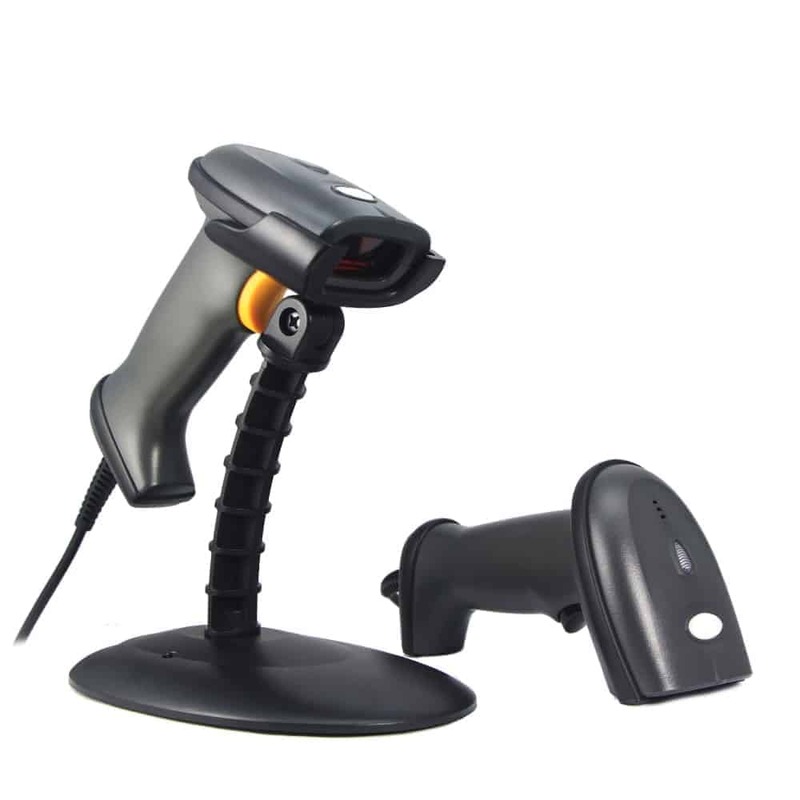 With its dual activation mode, manual by stud-button or automatic by near-field scanning when used with its optional stand, the ES-250A is the perfect tool for all of your everyday POS scanning jobs. 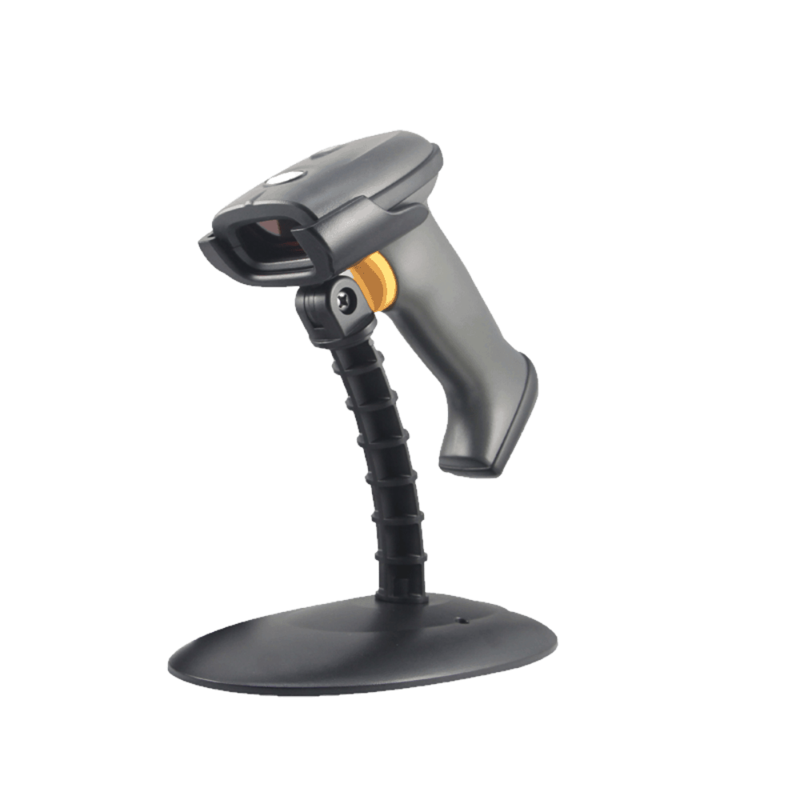 Either at the point-of-sale or elsewhere in the store, warehouse or location, the Eclipse™ ES-250A handheld line-scanner will provide you with solid performance in an easy to use product.